HOMES & BUSINESSES MONTHLY ! 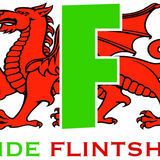 Welcome to our very first edition of Inside Flintshire Villages magazine. Some of you might have seen our other Flintshire publications and we’ve had so many requests and phone calls asking why we don’t deliver into the more rural areas so we’ve listened to you and here it is. Over the coming months we will be expanding our reach and covering more villages as this magazine grows. 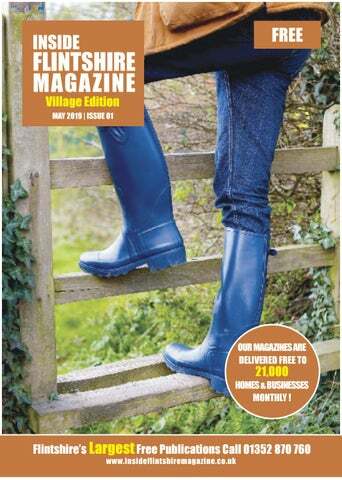 Please feel free to get involved and send us your events, what’s on in your village and we would love to see your photographs of your favourite rural areas or wildlife, We might even use them on our cover. So what do we have in this month’s issue? We start off with our monthly discover feature and what better place to start than the beautiful Llandudno and all it has to offer, see pages 8-9. Each month we will be looking at holiday destinations and this month we take a look at the best European city breaks on pages 16-17. If you’re anything like me and love VW campervans take a look at pages 20-21 for our guide and things to look out for if you’re looking to purchase a second hand VW. Every month we will bring you great competitions to be in with a chance of winning, see pages 24-25 for this month’s competition giveaways. Uncovered in 1987 during a scheme to landscape an area of the Great Orme, the copper mines represent one of the most astounding archaeological discoveries of recent times. Dating back 4,000 years, it is believed to be the largest prehistoric mine in the world. Boasting (at over 700m long) the longest Crest Toboggan run in Britain and a scenic PermaSnow ski slope, the Ski and Snowboard Centre offers a wide range of slope-based activities - skiing, snowboarding, sno-tubing and alpine adventure golf. Beginners’ lessons are available every day. Open all year round - Adult Activity Days are priced at £41, Juniors £36 and £40 for a Family Pass. Wales’ longest pier offers superb views, concessions, excellent food stalls and a relaxing stroll. Relax and enjoy the leisurely pace as you explore the friendly shops and stalls, and enjoy the beautiful views of Llandudno and the Irish Sea. Llandudno Pier’s attractions are open from 10am until late during the Summer season. cut and extremely tender this was accompanied by a crisp side salad , a dish of hand cooked chips ,beer battered onion rings, a fresh grilled tomatoes and pan fried mushrooms all very tasty and presented perfectly. s the weather hots up in Europe, its cities become a riot of outdoor festivals and al-fresco activities - so don’t wait until autumn or spring for your next city break. Discover why summer is the best time of year to see a city in full swing. Consider these great city getaways which offer plenty to see and do. Amsterdam For all the cosy appeal and old-world charm of Amsterdam in winter, ask any local and they’ll tell you the city transforms in summer. While there’s no bad time to go to the Dutch capital, its lovely green spaces and network of waterways are awash with people having fun when the weather’s fine. Groups gather to picnic and barbecue in parks. They congregate on roof terraces and in the crop of urban beach bars to enjoy the heady days of long summer evenings. The dessert menu looked extremely tempting, I particularly fancied the Sicilian Lemon Possett but decided I was ﬁt to burst so would deﬁnitely leave the dessert until next time. We will deﬁnitely be returning to The Stamford Gate as the food and service was 5 star! Well done Matt and all the team on the success of the refurbishment and the fantastic service and top notch food! Belly Pork the food was arranged and stacked with such precision I was sad to tuck in to it and spoil the chefs wonderful creation . My concerns soon subsided though when I tasted the food the Belly Pork was braised in caramelised apples and was divine this was placed over celeriac puree alongside beautifully buttered spring greens and a homemade croquette potato which was absolutely delicious then ﬁnished with a Orchard thieves cider sauce. lidays Ho The peace and tranquility of Amsterdam’s parks. Dubrovnik With its location on Croatia’s sundrenched Adriatic coastline, the dashing seaside city of Dubrovnik positively dazzles in the summer. Wallto-wall sunshine is a sure thing in this heritage-listed walled city, as is a lively atmosphere. Its cobbled streets and squares are full of al-fresco diners and it hosts several events, including the Summer Festival, one of Europe’s best arts events. Dubrovnik’s glorious beaches also come into their own at this time of year. Once you’ve filled up on the city’s medieval glories and can bear to tear yourself away from gazing at its views (catch the cable car up to the top of Mount Srd for the best), the glittering Adriatic beckons. There are good beaches walking distance from the city or the coves of sleepy Lokrum are just a 10-minute ferry ride away. And post-work dips in the city’s outdoor pools and swimming areas become a thing. Open-air theatres pop up in parks, performances take place at waterside venues and open-air cinemas appear on rooftops all over the city. Surfing at one of Barcelona’s 10 beaches (above) and Barcelona’s famous W Hotel (right), looking like a giant sail against the blue sky. along the water in a speed boat or cocktail-sipping on the sand. However you spend your days, a siesta is essential to keep the pace with this late-night city. Barcelona is a heavy-hitter when it comes to gastronomy too with a myriad of Michelin-starred eateries, hip bistros and traditional tapas bars to work your way around. Cavtat, a town just to the south of Dubrovnik, from where you can take a ferry several times a day to explore the walled city at your leisure. resort has a choice of five restaurants, and every room has a balcony. It’s the ideal hotel for a summer city break – chill on the beach or by the pool knowing you’re only a short ferry ride or drive from Dubrovnik. Amsterdam: Estherea This five-star boutique hotel is housed in a row of historic buildings on Amsterdam’s oldest canal in the heart of the city with Dam square, shopping, restaurants, theatres, museums and the central railway station all within walking distance. Dating back to 1940s, its luxurious decor includes sumptuous furniture and crystal chandeliers. Each room has its own character and includes complimentary breakfast plus free Wi-Fi – and you get free use of an iPad during your stay. The hotel also provides scooter rentals, as well as hot drinks and snacks in the lobby. Amsterdam has a dizzying summer festival scene too with something to appeal to all - just about every type of food, flower, art, and music is covered off in its jam-packed calendar of events. Barcelona: H10 Marina Barcelona This four-star hotel has a great location: it’s close to the beach, Ciutadella Park and the Olympic Marina Harbour, but only 15 minutes’ walk from the Sagrada Familia cathedral – and provides easy access to other tourist attractions. This ultra-modern, stylish hotel features a rooftop pool and skyline lounge bar with stunning views of the city. And with free Wi-Fi to boot, it’s a great choice for a break in Barcelona. Colwyn Bay beach and Llandudno beach), the Great Orme, the Llandudno Pier, the Llandudno cable cars, excellent theatres, a fascinating conservation zoo, top-draw golf courses, mighty mountains and green valleys, amazing restaurants, pubs and a complete A to Z of outdoor activities. Llandudno’s beaches have bagged quite a few beachy ‘Oscars’ for their excellent standards of cleanliness and water quality. Among the Seaside Award winners are: Llandudno North and West Shore, Llanfairfechan, Penmaenmawr, Colwyn Bay/Rhos-on-Sea, Pensarn, Old Colwyn, Sandy Cove and Kinmel Bay You’re bound to find a beach tailor-made for your mood - from the popular ‘beside the sea’ sands at Llandudno and Colwyn Bay to dreamy, more peaceful beaches like Pensarn. ant to live the VW California dream, but don’t know where to start when browsing camper vans for sale? Read our top T5 tips – soon you’ll be on the road! Few vehicles are as iconic as the Volkswagen California and with the introduction of the T6, prices of used T5s mean that ownership of a nearly-new model is more accessible than ever. Here’s how to buy a used T5 VW camper van with conﬁdence, thanks to our expert advice. It may be the name of a popular 1960s song, but ‘California Dreaming’ is also what many wannabe VW camper van owners do on a regular basis. Coinciding with the launch of the VW T5 in 2003, the manufacturer announced that it was bringing the conversions in-house; but it wasn’t until 2005 when we ﬁrst saw right-hand drive examples in Blighty. Power units at launch ranged from a 1.9-litre 85bhp TD to a 2.5-litre 174bhp TD, all at Euro 4. Transmission was a ﬁve- or six-speed manual or a six-speed ASG robotised automatic gearbox. The old maxim ‘if it ain’t broke, don’t ﬁx it’ could well have been coined to describe the longevity of the VW camper van layout: a run of kitchen furniture down one side with a rock-n-roll double seat/bed towards the rear. Swivelling cab seats add to the seating compliment. The layout was designed to make the most eﬃcient use of space when the Volkswagen had a rear-mounted engine. It remains popular because it oﬀers so much uncluttered ﬂoor space, important in a conversion of modest dimensions. In 2009, the 2.0-litre Euro 5 engine was ﬁrst ﬁtted with either a six-speed manual ’box or the legendary super-smooth, seven-speed, dual-clutch DSG robotised automatic. Its 4Motion was an extra-cost all-wheel drive system. Although the original VW California models oﬀered a choice of roof type, this generation was stuck with a no-option, rear-hinged elevating one with fabric sides. Fair do’s, because it also oﬀers oodles of standing room on site. At under 2m high when retracted, the VW T5 California will squeeze into many multi-storey car parks and will suﬀer less wind resistance on the road. T5 VW Californias can be ordered in many shades and have an options list as long as a python. Be aware that there is a cheaper version called the VW California Beach which is really a minibus with seven seats, two beds and an elevating-roof. It isn’t really a camper van, but can be ﬁtted with extra cost kitchen and storage modules. Nearly all included VW’s BlueMotion Technology (BMT). This consists of four main features: cruise control (later, adaptive), low-rolling-resistance tyres, regenerative braking and a start/stop engine. The California had initially seen the light of day on Volkswagen’s T3, then converted by Westfalia Coachworks. Volkswagen California on SWB VW Transporter T5 ● Base vehicle built and converted in Germany between 2005 and 2015. ● Elevating-roof camper on the Caravelle/Multivan ﬁve-door people carrier. ● Overall length: 4.892m (16’ 6”). A full main dealer or commercial-vehicle specialist service history is essential. Some were available to VW staﬀ as company vehicles; these may well have higher mileages than owner-driver leisure vehicles. It’s in a class of its own with special mouldings for a totally integrated look. Some ﬁnd the bed suﬀers from transverse ridges, so try before you buy. The main snag is that VW didn’t hand the conversion for UK users, so a distracted parent could discharge the children into the road on the school run. Cloudy2Clear have a wealth of knowledge and are recognised as a Which Trusted Trader, plus our work is backed by an industry leading 25 year guarantee. Cloudy2Clear also replace faulty locks handles and hinges on all windows and doors. Your friendly local Cloudy2Clear specialist is Alan Ball and he services the Connahs Quay, Flint, Ewloe, Buckley, Queensferry, Aston & Hawarden areas. So, if your windows are steamed up, broken or damaged give Alan a call for a free quotation on 0800 61 21 118. Can anyone have a wet room? In theory, yes. Wet rooms are basically shower rooms minus the shower screen and tray, and have an open, fully tiled shower area. If your bathroom is on the small side you’ll need to include a shower screen to prevent everything getting sprayed. Waterproofing Waterproofing wet rooms involves priming the floor, the lower section of the walls and the whole of the wall area around the shower before covering with a syrupy membrane. Once it’s set, the room is then tiled. It’s also worth raising the bathroom door threshold by about 5mm from the floor in case the room fills with water (if someone covers the shower drain with a towel, for example). Advantages of wet rooms ● Wet rooms are super-stylish and perfect for creating a contemporary look. ● As a second bathroom, a wet room can easily increase the value of your home. ● Great for small bathrooms - removing the bath creates more space. ● Wet rooms are, in general, easier to clean. There’s no shower screen or tray to worry about and if you go for a wallhung sink and toilet, it’s easier still. ● If it’s done properly, your floor (the bit under the tiles) is better protected than it would be in a standard bathroom. ● In small bathrooms, watch out for wet towels and loo roll caused by spray from the shower. ● You’ll need a professional fitter to waterproof the room – if it’s not done properly, leaking water can cause damage. ● Wet rooms should be tiled from floor to ceiling – and that’s expensive. And if you go for porous stone tiles, they may need to be resealed every few months, which is hard work. ● Swapping a main bathroom for a wet room could make your home less saleable – buyers want at least one bath. How much will a wet room cost? The cost of installing a wet room is usually between £5,000 and £10,000. If you are paying a company to tank and install a wet room, including floorto-ceiling tiles, suite and shower, expect to pay more. What type of surface materials should I use? Tiles are the most popular wall and floor covering, but you can opt for sheet vinyl for the floor, or even Corian, which is a seamless, non-porous material that is low-maintenance. Concrete and tadelakt (a waterproof plaster from Morocco) will lend your wet room a rough luxe look. Choose sleek modern drainage Longing for an invigorating power shower? Then you’ll need to install a drain that can handle high water volumes efficiently. A flush-fitting, channel-style drain collects water across its full width, effectively preventing floods. Look for a drain with an easy access dirt trap to help keep the water running freely. Store well Allocating a dedicated space for storing shampoo and soap inside your shower area is essential. One of the smartest solutions is niche shelving, which can be built into a stud wall at construction stage and doesn’t encroach on your showering space. It’s important to tile the actual shelf on a slight gradient to prevent water from pooling at the back. If you are going to use tiles, choose non-porous bathroom tiles like ceramic or porcelain. Porous tiles, such as slate, marble and limestone need sealing every few months to prevent water damage. Get a wonderful lawn with a GreenThumb Makeover... and save the hassle and cost of re-turfing. We have spent the last two years developing and trialling a Lawn Makeover – specifically designed to create a new and beautiful lawn. We only use the best materials, including our bespoke ‘Diamond Green’ grass seed, our premium Nutragreen® feed, and 100% organic top-dressing. For your free Lawn Makeover analysis, call 01352 758 355 Visit www.greenthumb.co.uk/lawn-makeover *Save 50% is based on an average sized lawn of 160m2 @ £8 per m2 = £1,280 - compared to typical returfing costs, including labour, @ £16 per m2 = £2,560. Thereafter, the larger the lawn, the larger the discount. Contact GreenThumb for details. Llandudno’s beaches have bagged quite a few beachy ‘Oscars’ for their excellent standards of cleanliness and water quality. Among the Seaside Award winners are: Llandudno North and West Shore, Llanfairfechan, Penmaenmawr, Colwyn Bay/Rhos-on-Sea, Pensarn, Old Colwyn, Sandy Cove and Kinmel Bay You’re bound to find a beach tailor-made for your mood - from the popular ‘beside the sea’ sands at Llandudno and Colwyn Bay to dreamy, more peaceful beaches like Pensarn. Colwyn Bay beach and Llandudno beach), the Great Orme, the Llandudno Pier, the Llandudno cable cars, excellent theatres, a fascinating conservation zoo, top-draw golf courses, mighty mountains and green valleys, amazing restaurants, pubs and a complete A to Z of outdoor activities. Uncovered in 1987 during a scheme to landscape an area of the Great Orme, the copper mines represent one of the most astounding archaeological discoveries of recent times. Dating back 4,000 years, it is believed to be the largest prehistoric mine in the world. Boasting (at over 700m long) the longest Crest Toboggan run in Britain and a scenic PermaSnow ski slope, the Ski and Snowboard Centre offers a wide range of slope-based activities - skiing, snowboarding, sno-tubing and alpine adventure golf. Beginners’ lessons are available every day. Open all year round - Adult Activity Days are priced at £41, Juniors £36 and £40 for a Family Pass. his Month we had the pleasure of visiting the brand newly refubished Stamford Gate. The refurbishment has taken approximately 9 weeks to undergo and has transformed the Stamford gate into an ultra modern stylish gastro pub. Pork was braised in caramelised apples and was divine this was placed over celeriac puree alongside beautifully buttered spring greens and a homemade croquette potato which was absolutely delicious then ﬁnished with a Orchard thieves cider sauce. The 12 oz Rib eye steak I was assured was also Superb it was cooked to perfection and was a good cut and extremely tender this was accompanied by a crisp side salad , a dish of hand cooked chips ,beer battered onion rings, a fresh grilled tomatoes and pan fried mushrooms all very tasty and presented perfectly. The peace and tranquility of Amsterdam’s parks. And post-work dips in the city’s outdoor pools and swimming areas become a thing. Open-air theatres pop up in parks, performances take place at waterside venues and open-air cinemas appear on rooftops all over the city. Amsterdam has a dizzying summer festival scene too with something to appeal to all - just about every type of food, flower, art, and music is covered off in its jam-packed calendar of events. y s a d i l o H Surfing at one of Barcelona’s 10 beaches (above) and Barcelona’s famous W Hotel (right), looking like a giant sail against the blue sky. This four-star hotel has a great location: it’s close to the beach, Ciutadella Park and the Olympic Marina Harbour, but only 15 minutes’ walk from the Sagrada Familia cathedral – and provides easy access to other tourist attractions. This ultra-modern, stylish hotel features a rooftop pool and skyline lounge bar with stunning views of the city. And with free Wi-Fi to boot, it’s a great choice for a break in Barcelona. ant to live the VW California dream, but don’t know where to start when browsing camper vans for sale? Read our top T5 tips – soon you’ll be on the road! Few vehicles are as iconic as the Volkswagen California and with the introduction of the T6, prices of used T5s mean that ownership of a nearly-new model is more accessible than ever. Here’s how to buy a used T5 VW camper van with conﬁdence, thanks to our expert advice. It may be the name of a popular 1960s song, but ‘California Dreaming’ is also what many wannabe VW camper van owners do on a regular basis. The California had initially seen the light of day on Volkswagen’s T3, then converted by Westfalia Coachworks. Vintage Horsebox catering trailers - The "Hall & Smith" Events bar and "Dough Bellissimo" authentic Wood Fired Pizza. If you are organising a special private party, wedding or corporate event, we can turn those special moments into long lasting memories. We are also available for outdoor sports events, country shows and festivals. We’re a professional, energetic team including trained bar tenders, Pizzaiolo’s and waiting on ambassadors who will deliver a delightful service for your guests. We can theme and tailor the bar and pizza menus to compliment your ideas and needs… a truly unique talking point and a great way to pamper your guests from one or more of our converted vintage horseboxes. "HALL & SMITH" EVENTS BAR We offer a range of tailored menus, with a wide selection and well stocked selection of house, premium and super premium beverages to suit every need and budget. Choose a themed flavoured gin bar, prosecco bar or a full artisan bar. Or simply hire a regular bar with a large range of wine, spirits and beers. Share your ideas with us… the options are endless! "DOUGH BELLISSIMO" WOOD FIRED PIZZA Whatever your event, we’ll work with you to ensure your guests are completely satisfied with full tummies and happy smiles. We can cater for your budget and type of celebration. For weddings we work great as an alternative day time or evening addition and we’re perfect for events where there are lots of mouths to feed! We can serve delicious Pizza from a traditional oven and can cover guest numbers from 30 to 250 quite easily. Whether you are doing a buffet style festival / garden wedding, or a traditional sit down meal and want a unique and surprising kick to the menu. Our pizzas are freshly prepared and cooked within the Dough Bellissimo horsebox and served piping hot. The professional wood fired oven cooks at over 500ºC. Which means we can comfortably cook 3 delicious pizzas to order in under 90 seconds. This means a very short wait time for your guests and quick all-round service. Magnum, who regularly breached the Top 40 of both the singles and album charts in the Eighties and early Nineties, came together in the Midlands in the midSeventies and released their debut album ‘Kingdom Of Madness’ in 1978, followed by ‘Magnum II’ in 1979 and their first live album ‘Marauder’ in 1980. During this period they toured relentlessly with the likes of Def Leppard, Blue Oyster Cult and Judas Priest. 1988’s ‘Wings Of Heaven’ LP really broke the band into the mainstream, going gold, breaching the top 5 of the UK chart and spawning three top 30 singles ‘Days Of No Trust’, Start Talkin’ Love’ and ‘It Must Have Been Love’. During this period the band regularly graced the stages of such venues as Hammersmith Odeon and major UK Festivals as Reading and Castle Donington. After disbanding in 1995, the band reformed in 2001 and came storming back stronger than ever! 1990’s ‘Goodnight To L.A.’ album also went Top 10, spawned the Top 40 single ‘Rocking Chair’ and was accompanied by a tour of the UK’s Arena circuit, including venues such as Wembley Arena. 2019 sees them embark on an 8-date European tour in support of their hard-hitting live album ‘Lost On The Road To Eternity’. Don’t miss Magnum when they hit Warrington’s Parr Hall on Thusday June 13! brilliant singer to enjoy Massaoke; it’s all about sharing your love of music with a crowd of other like-minded people. It’s a unique, powerful and emotional experience. And it’s tremendous fun too! Born 18 July 1918, he was a South African anti-apartheid revolutionary, political leader, and philanthropist who served as President of South Africa from 1994 to 1999. He was the country’s first black head of state and the first elected in a fully representative democratic election. Guess the identity of our mystery celebrity and you could WIN £25 CASH!! Pollsmoor Prison, and Victor Verster Prison. Amid growing domestic and international pressure, and with fears of a racial civil war, President F. W. de Klerk released him in 1990. ?? and de Klerk led efforts to negotiate an end to apartheid, which resulted in the 1994 multiracial general election in which ?? led the ANC to victory and became president. A thrilling and vibrant live-action adaptation of Disney’s animated classic, “Aladdin” is the exciting tale of the charming street rat Aladdin, the courageous and selfdetermined Princess Jasmine and the Genie who may be the key to their future. Directed by Guy Ritchie, who brings his singular flair for fast-paced, visceral action to the fictitious port city of Agrabah. The film stars Will Smith as the Genie; Mena Massoud as Aladdin and Naomi Scott as Jasmine, the beautiful Princess. John Wick: Chapter 3 - Parabellum In this third installment of the adrenaline-fueled action franchise, skilled assassin John Wick (Keanu Reeves) returns with a $14 million price tag on his head and an army of bounty-hunting killers on his trail. After killing a member of the shadowy international assassin’s guild, the High Table, John Wick is excommunicado, but the world’s most ruthless hit men and women await his every turn. Godzilla: King of the Monsters This new story follows the heroic efforts of the cryptozoological agency Monarch as its members face off against a battery of god sized monsters, including the mighty Godzilla and his ultimate nemesis, the three headed King Ghidorah. When these ancient superspecies rise again, they all vie for supremacy, leaving humanity’s very existence hanging in the balance. General knowledge quiz 1. Canteloupe, Egusi and Water are all types of which fruit? 2. The ‘Ye Olde trop to Jerusalem’ pub in Nottingham holds which distinction?? 3. Which is the larger lake; Lake Superior or Lake Michigan? 4. In British universities, what do the initials NUS stand for? 5. Actress Charlize Theron (left) was born in which country? a) USA b) South Africa c) England 6. Addis Ababa is the capital city of which African country? Modern and the ArcelorMittal Orbit at the Olympic Park, which ‘AK’ was awarded a knighthood in 2013? 1. 2. 3. 4. 6. 7. Established in 1974, Town & Country Furnishings formerly of Mold, is a North Wales family run business that prides itself on excellent service, highest quality and superb value. Managing director Paul Wootton has ran the business for the past 44 years, based in Mold but have recently moved to a brand new purpose built showroom in Dobshill. Daughter Abigail has now joined the family business and is eager to learn from Paul to help carry on the business name for many more years to come. Town and country furnishings specialise in Carpets, Vinyls, LVTS, Wood Flooring and Laminates and are founder members of the carpet foundation for over 20 years. They also specialise in contract flooring for hotels and schools and are a main stockist of celebrity, Parker Knoll and Yeoman, offer a very competitive price range to suit everyoneâ&#x20AC;&#x2122;s budget and free no obligation visits to your home or business. Northop Bowling Green Open Day! Come along to Northop Bowling Green on Sunday 12th May between 1pm and 4pm to try your hand at crown green bowls. Meet our friendly club members and see if it is for you. All ages welcome, no experience necessary, no obligation. Pop up cafĂŠ with homemade cakes. Free entry. Located behind the Edith Bankes Hall in Northop. 1 For the marinade, in a glass or ceramic bowl, mix the pineapple juice, vinegar, molasses sugar and seasoning together until smooth and well combined. 2 For the kebabs, rinse the lamb neck fillet and pat dry with kitchen paper. Place the lamb into an ovenproof glass or ceramic dish and pour over half of the marinade mixture. Cover the dish and chill in the fridge for between one and four hours. pepper, onion, pineapple, banana and marinated lamb onto the soaked skewers to make 10-12 kebabs. Leave 3-5cm/1-2in free at one end of each skewer with which you can grip the skewers. Brush the kebabs all over with the oil. 8 Heat a griddle pan over a high heat. When the pan is very hot, add the kebabs, in batches if necessary, and fry for 8-10 minutes, basting at intervals with the remaining marinade and turning regularly. (NB: The kebabs can also be barbecued or grilled under a medium hot grill, if desired.) 9 To serve, stuff the flatbreads with the lettuce and drizzle in a little of the lime, chilli and coriander mayonnaise. Sandwich two kebabs inside each flatbread. Ingredients For the marinade ● 175ml/6fl oz pineapple juice ● 4 tbsp malt vinegar ● 115g/4oz molasses sugar ● Salt and freshly ground black pepper. For the kebabs ● 750g/1lb 10oz lamb neck fillet, fat trimmed, cut into 3cm/1¼in cubes ● 2 large red peppers, seeds removed, cut into 3cm/1¼in squares ● 2 large green peppers, seeds removed, cut into 3cm/1¼in squares ● 2 red onions, peeled, chopped into 3cm/1¼in wedges ● 1 fresh pineapple, skin and core removed, flesh cut into quarters, then chopped ● 3 large bananas (not too ripe), peeled, chopped ● Sunflower or groundnut oil, for brushing. For the lime, chilli and coriander mayonnaise ● 2 free-range egg yolks ● 1 tsp Dijon mustard ● Salt and freshly ground black pepper ● 1 large garlic clove, crushed to a paste with the edge of a knife ● 1 lime, juice only ● 290ml/9¾fl oz sunflower or light olive oil ● 1 red chilli, seeds removed (half reserved), shredded ● Small bunch coriander, leaves only, finely chopped. To serve ● 5-6 flatbreads ● ½ iceberg lettuce, shredded. OUR MAGAZINES ARE DELIVERED FREE TO OVER 21,000 FLINTSHIRE HOMES & BUSINESSES EVERY MONTH, FLINTSHIRE'S LARGEST PUBLICATIONS.